Al-Nassr was established in 1955 by the brothers Husein and Zeid Al-Ja'ba in their house on Al-Ataif Street in Riyadh. Training took place in an old playground at Gashlat Al-Shortah west of Al-Fotah Garden where there was a small football field and a small room to store balls and shirts. In addition to Al-Ja'ba Brothers, Ali and Issa Al-Owais were among the first workers at the club. The club operated unofficially as an amateur club until 1960 when it was registered officially with the General Presidency of Youth Welfare. It was at this time that Prince Abdulrahman Bin Saud became head of Al-Nassr. 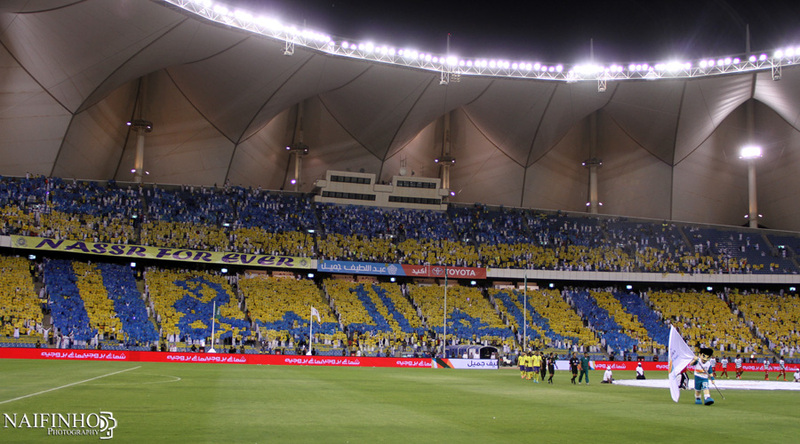 Al-Nassr started in the second division of the league. They were promoted to the first division in 1963. Old crest Al Nassr is the Arabic word for "victory". Clubs with the same name are found in Oman, Kuwait, Bahrain, UAE and Libya but the Saudi Arabian club was the first to take the name. and blue for the magnificent water in the Arabian seas. Recently the old logo has been replaced by a "more modern version", but still is heavily influenced by the old club logo. The new Logo only represent the Football team while the old logo represent the Club as a whole.